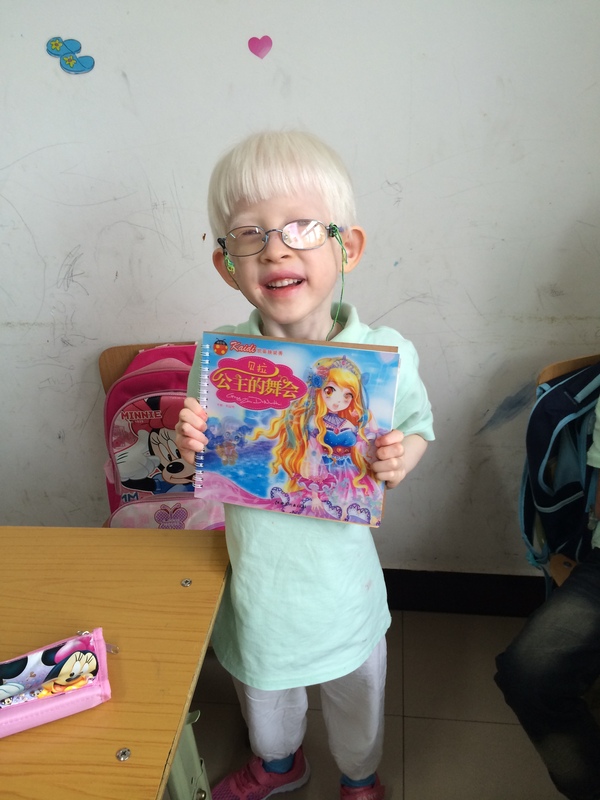 As a 7-year-old with albinism in China, Lucy needed the love, support and acceptance of a family. 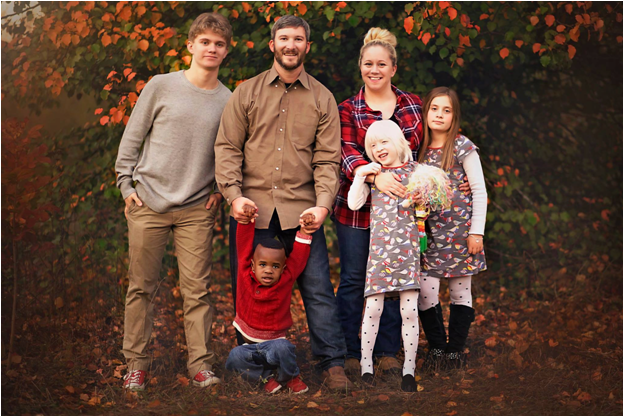 In September 2015, she came home with help from Holt’s Special Needs Adoption Fund and today she is thriving in her forever family. From the beginning, something stood out about about Lucy. 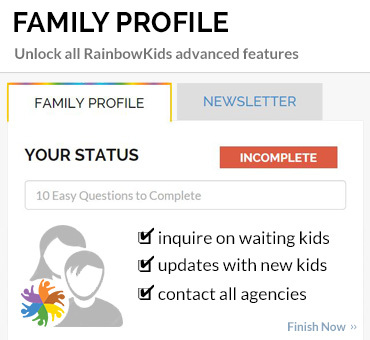 Jennifer first laid eyes on her as she sat at her computer, scrolling through the waiting child photolisting. 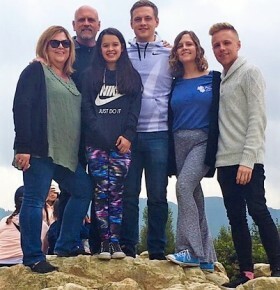 Her family wasn’t looking to adopt at the time — they already had two biological children and an adopted son — but Jennifer would often look through the photolisting, praying for and sharing about the children she saw there. Her heart hurt for each one and she desperately wanted them to find families. As she scrolled through photos on this day, one girl in particular caught her eye. It wasn’t so much her blue eyes, pearly skin and toe-head hair that made her stand out from the other children. But rather, an unexplainable tug she caused on Jennifer’s heart. 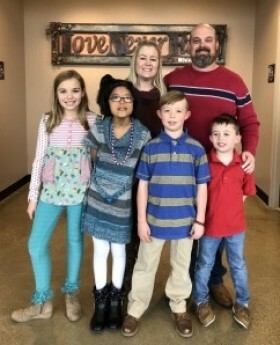 Compelled to take action for this sweet 7-year-old who deserved a family, Jennifer “shared” about her on social media — surely some family would step up! But after sharing her photo, the tug on Jennifer’s heart remained. 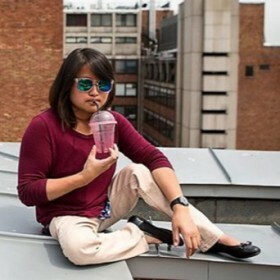 She sent the girl’s photo to her husband, Richard, who was away on business, and he responded quickly, confirming her feelings about this special girl. “Ask about her!” he said. So began the their family’s journey to Lucy. Lucy was used to standing out, but for different reasons than what made her stand out to her future family. 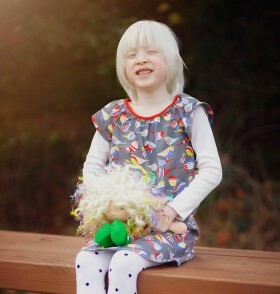 Lucy has albinism, a condition that, due to a lack of melanin, causes the skin, eyes and hair to lack pigment. Because of this, she looked different than her peers and seemingly everyone else around her in China. Feeling like she belonged, or fit in, was something Lucy had struggled with her whole life. 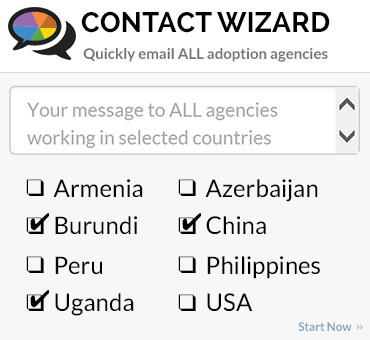 “As an orphan, you already stand out,” says Jian. “It’s even harder when you stand out visually as well.” Without a family to protect and support her, she was at risk for a lot of psychological and emotional hurt. 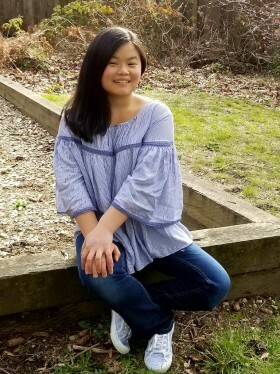 Lucy had lived in the same care center in China her whole life and when Jennifer first met her, she was shy and timid. “Her experience in China was really uncomfortable,” Jennifer says. To go out in public, Lucy would wear layers of clothing, stuff her white hair up into a baseball cap and keep her head down in an attempt to go unnoticed. During a trip to the zoo the first time they met, Jennifer got a startling glimpse into Lucy’s everyday life in China. 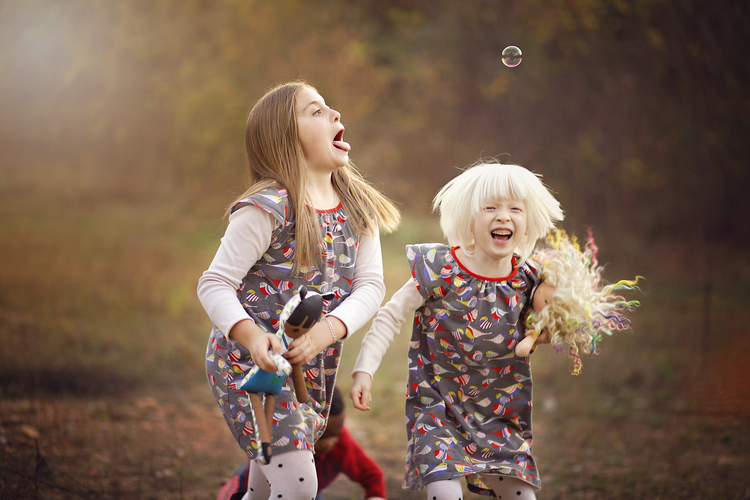 Lucy needed a family to support her and help her respond positively to questions about why she was different — she needed a family to love and encourage her through these hurtful interactions. And from the moment Jennifer and Richard first saw her photo, they knew they were the ones to do so. They were committed to bringing Lucy home. But once they started the adoption process, the costs began to loom. 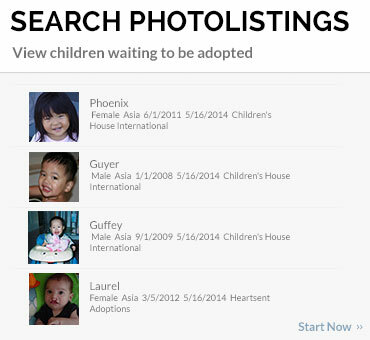 With most international adoptions costing more than $30,000, this hurdle can seem insurmountable to many families. 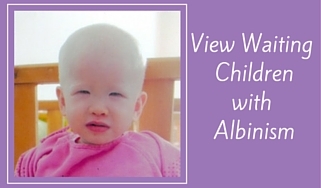 They also began to anticipate potential medical procedures that Lucy’s low vision, a condition often paired with albinism, could require. 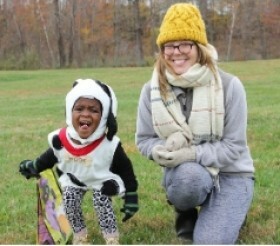 “The cost can be so overwhelming, but we knew that God would make a way for our daughter to come home,” Jennifer says. But they also knew it would take work. To cover the cost of their adoption, they applied for several grants and did a lot of fundraisers. They sold T-shirts, held yard sales and even sold some of their personal items — including a car. In the midst of their fundraising, they learned about Holt’s Special Needs Adoption Fund (SNAF) — a fund designed to ensure that finances never stand between a loving family and a child who truly needs one. SNAF grants are awarded to families who are in process of adopting children with special medical or developmental needs, older children or sibling groups — children whose unique needs make it more difficult to find the right families for them. Often, there is a greater urgency for these children to come home so that they can receive the medical attention they need. 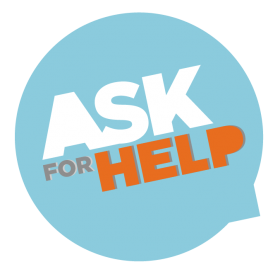 Financial help from a SNAF grant can greatly speed up the process — coming at just the critical time when parents need to buy their plane tickets, or finalize their legal paperwork so their child can come home. 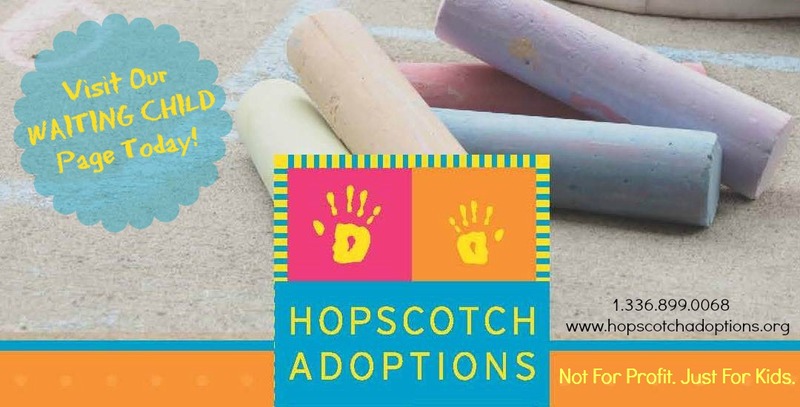 In 2015 alone, Holt awarded $126,000 in grants from the Special Needs Adoption Fund — enabling 55 children to come home to loving, permanent families. But as the urgent need remains for children to come home in 2016, the need to replenish this SNAF fund also remains urgent. 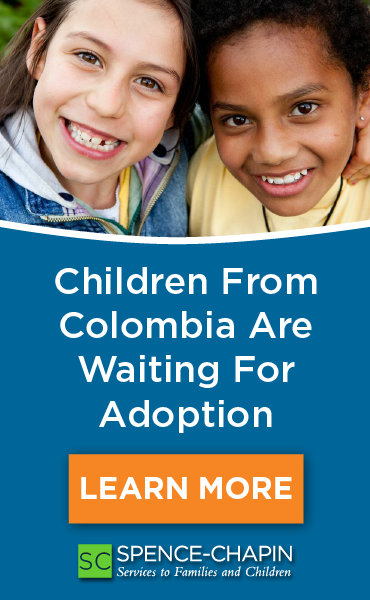 It can make all the difference for a waiting child and a family hoping to adopt. For Lucy, this grant helped her come home to a family well equipped to love and care for her, and more quickly escape the emotional and psychological pain she had grown accustomed to. The SNAF grant was also a huge encouragement to Jennifer and Richard as they tirelessly worked to make that “big number” dwindle. “Your gift allowed us to breathe a little easier and reminded us that God will always make a way!” they said in a letter they wrote soon after Lucy came home, thanking donors who gave to the SNAF fund. Lucy came home in September 2015 and she is now embracing her life as a little sister, big sister and daughter. She loves to dance with her sister, play with her little brother, and is the biggest fan at her big brother’s orchestra concerts. She loves to draw and is learning her ABCs. “I think her transition from orphan to daughter has gone as well as we could hope,” says Jennifer. Lucy is absolutely thriving with the love and stability of a family. She is excited to start school at the beginning of 2016, and Jennifer has no doubt that she will do well. The once-timid and shy girl now walks, and runs, around with confidence. She holds her head up high and talks to others without reservation. “Lucy is such a bright light. She shines and lights up the faces of those who are able to see the beautiful, big-hearted girl that she is,” Jennifer says. Right now, it is unknown if Lucy will need any medical interventions for her vision impairments, which include nystagmus and strabismus — conditions that appear as continuous eye movement and a “wandering eye.” While surgery for these conditions may or may not improve vision, many choose to have it done for social reasons. Jennifer says that they will let Lucy decide for herself whether or not she would like this procedure in the future. In addition to meeting her physical needs, the Jennifer and Richard are giving Lucy the emotional care that she’s needed for so long. With their support and love, she’s learning that she doesn’t need to hide, that she’s perfect just as God made her. As she grows and matures and adjusts to life with her family, Lucy will continue to be someone who stands out — but for reasons different than she’s used to. She’ll stand out for her kindness and compassion, for her skills and for her dreams, for being so deeply loved by those around her, and for her beauty — both inside and out.